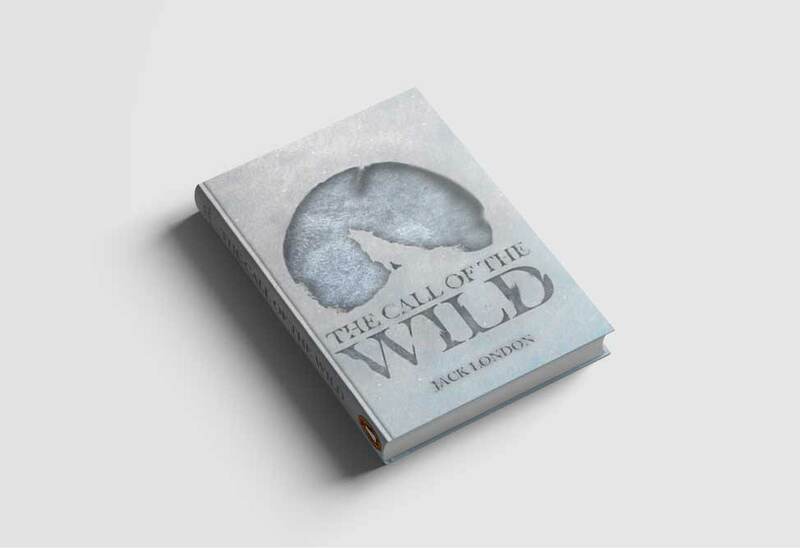 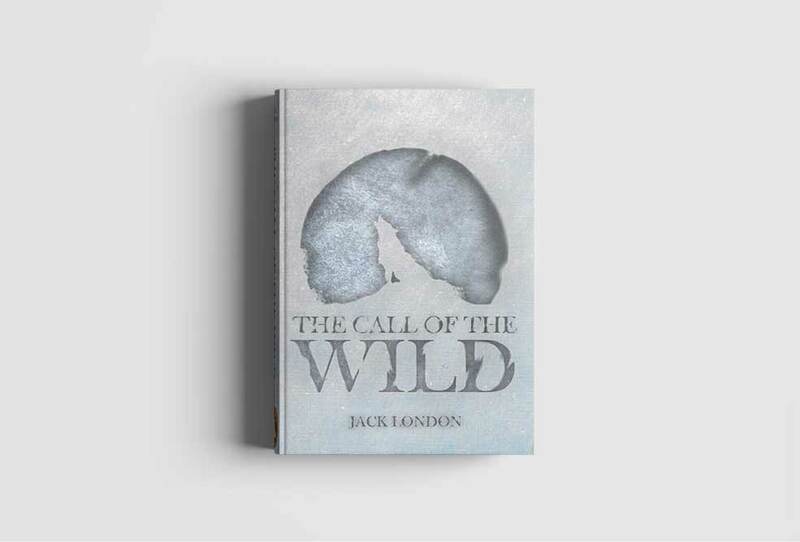 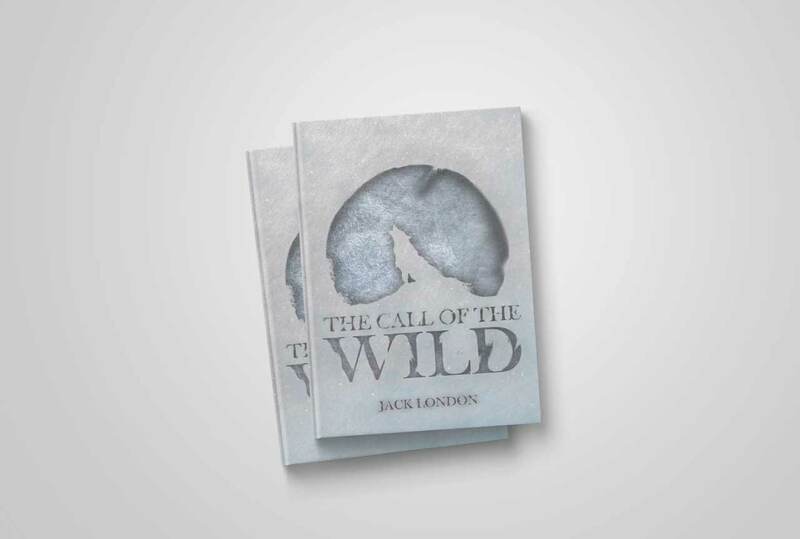 Book design for the classic novel The Call of the Wild by Jack London. 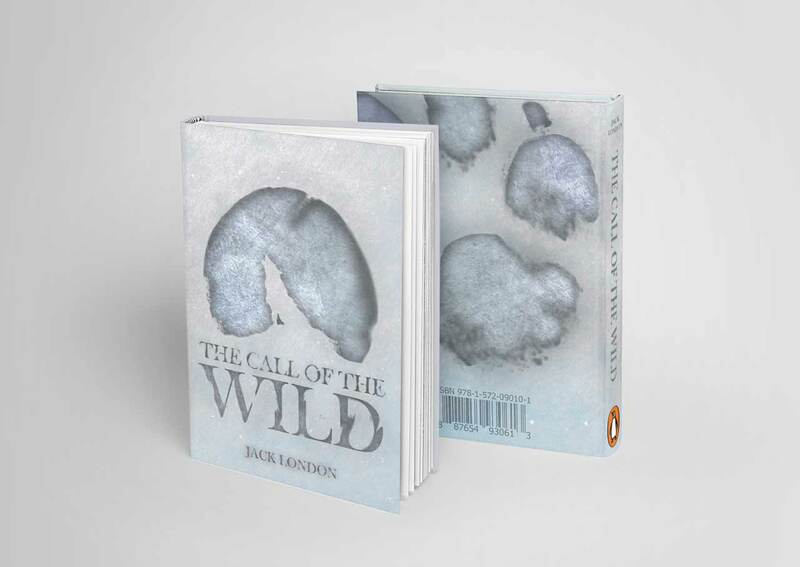 A wolf-like figure and the title are stylized to resemble imprints in the snow over frozen water. 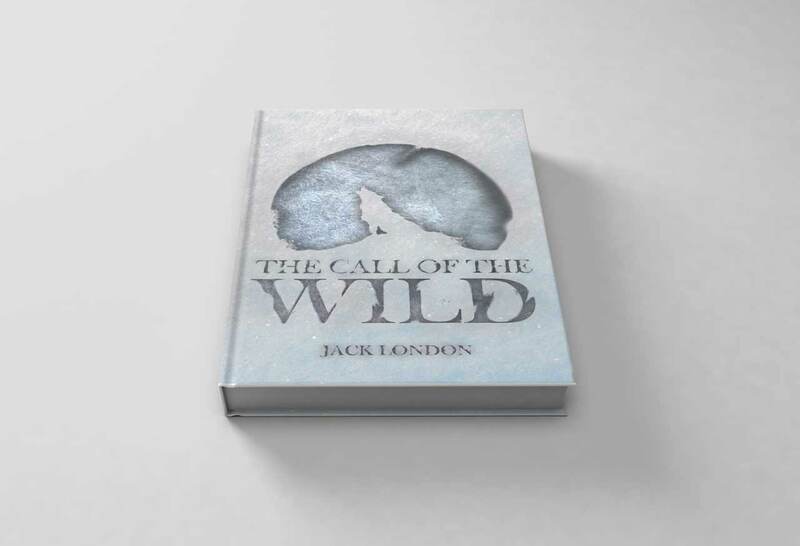 Wolves, snow and a frozen river are important narrative elements the novel.